SsangYong Rexton RX2702.7 XDI 01-06'FUEL INJECTOR A6650170321 / C175CACE, AS PICTURED. MAKE AND MODEL: SsangYong Rexton RX270 2.7 XDI SE ESTATE. FUEL:DIESEL. ALTERNATIVELY YOU CAN ALSO CHECK WITH YOUR LOCAL MAIN DEALER. A6650700101;. SSANGYONG KYRON Injector Pump (High Pressure). KYRON 2005 -2012 Mk 1. 2006 SSANGYONG KYRON which we are dismantling. Style Station Wagon. The Part imaged and described is th eactual part you will recieve. 2007 SSANGYONG REXTON Injection Rail. This item has been removed from a: 2007 SSANGYONG REXTON. Model: REXTON. Make: SSANGYONG. Factor Number: HFIR2520 FUEL INJECTION RAIL. Part Type: Injection Rail. Fuel type: Diesel. SsangYong Rexton MK1 2.7 XDI 01-06' FUEL RAIL. Condition is Used. Dispatched with Royal Mail 2nd Class. Fuel Rail A6710700195. 2015 SSANGYONG TURISMO Injection Rail. This item has been removed from a: 2015 SSANGYONG TURISMO. Make: SSANGYONG. Model: TURISMO. Year: 2015. Part Type: Injection Rail. Fuel type: Diesel. Our site is spread over 5 acres consisting of a reception area, two large storage buildings, de-pollutions bay, vehicle racking facility, in house crushing/bailing zone. This does not include Northern Ireland, Republic of Ireland, offshore (not mainland UK) or the highlands or international. MAKE AND MODEL: SsangYong MK1 2.7 XDI. MAKE SURE YOU ARE BUYING THE RIGHT PART. IF YOU ARE NOT SURE DON’T HESITATE TO GIVE US A RING AND WE’LL TRY OUR BEST TO HELP YOU OUT. FUEL:DIESEL. IS FREE INCLUDING SCOTTISH LOWLANDS. SsangYong Rexton RX2702.7 XDI 01-06'FUEL INJECTION RAIL A6650700295 / 93077507A / 55PP03-01 / 04014478891, AS PICTURED. MAKE AND MODEL: SsangYong Rexton RX270 2.7 XDI SE ESTATE. FUEL:DIESEL. ALTERNATIVELY YOU CAN ALSO CHECK WITH YOUR LOCAL MAIN DEALER. MAKE AND MODEL: SsangYong Rexton RX270 2.7 XDI SE ESTATE. SsangYong Rexton RX2702.7 XDI 01-06'FUEL INJECTOR PIPES LINES SET, AS PICTURED. MAKE SURE YOU ARE BUYING THE RIGHT PART. IF YOU ARE NOT SURE DON’T HESITATE TO GIVE US A RING AND WE’LL TRY OUR BEST TO HELP YOU OUT. Removed from 2006 SSANGYONG REXTON 2.7 270 XDI 4X4 5DOOR May Have Minor Visible Usage Marks On It And May Need Cleaning. FUEL INJECTION RAIL AND SENSOR. ref MA 1875 (OCT880). SsangYong Rexton MK1 2.7 XDI 01-06' FUEL RAIL 303240546589 / A6650700195 / 9307Z502B / R9145Z010A,AS PICTURED. MAKE AND MODEL: SsangYong MK1 2.7 XDI. FUEL:DIESEL. ALTERNATIVELY YOU CAN ALSO CHECK WITH YOUR LOCAL MAIN DEALER. MAKE AND MODEL: SsangYong Rexton RX270 2.7 XDI SE ESTATE. SsangYong Rexton RX2702.7 XDI 01-06'FUEL INJECTOR BRACKETS HOLDERS SET OF 4, AS PICTURED. MAKE SURE YOU ARE BUYING THE RIGHT PART. IF YOU ARE NOT SURE DON’T HESITATE TO GIVE US A RING AND WE’LL TRY OUR BEST TO HELP YOU OUT. MAKE AND MODEL: SsangYong RX270 SX5 2.7 AUTO ESTATE. SsangYong Rexton RX270SX5 2.7 AUTO 01-06' FUEL INJECTOR HOLDERS BRACKETS SET, AS PICTURED. MAKE SURE YOU ARE BUYING THE RIGHT PART. IF YOU ARE NOT SURE DON’T HESITATE TO GIVE US A RING AND WE’LL TRY OUR BEST TO HELP YOU OUT. DELPHI R9044Z0511 INJECTOR PUMP HIGH PRESSURE (DIESEL) ;. SSANGYONG KYRON Injector Pump (High Pressure). KYRON 2005 -2012 Mk 1. 2007 SSANGYONG KYRON which we are dismantling. The Part imaged and described is th eactual part you will recieve. Injection Nozzle Holder with gasket for Ssangyong MUSSO KORANDO REXTON Diesel turbo 98~06. Injector Nozzle Injector Valve for Ssangyong Tivoli 2WD A1730780023 14TKM!!! Einspritzdüse Einspritzventil Zyl.3 nur 14tkm! für Ssangyong Tivoli 2WD BJ15 1,6 94KW. Ssangyong Tivoli 2WD BJ15 1,6 94KWEinspritzdüse Einspritzventil Zyl.2 nur 14tkm! Ssangyong Tivoli 2WD BJ15 1,6 94KWEinspritzdüse Einspritzventil Zyl.1 nur 14tkm! IT IS BEEN REMOVED FROMSSANGYONG REXTON 270 CDI 2008 YEAR. ONCE AN ITEM IS RECEIVED BACK IT WILL BE QUALITY TESTED ON OUR BENCHES AND CHECKED FOR A MATCH WITH THE ONE SOLD. (MAKE SURE THE PART NUMBER MATCHES THE ONE YOU NEED). 2006m., manual, 121kw, 2700cc, lhd. Ssang Yong Rexton, suv. Ssang Yong Rexton 2006 Kraftstoffzufuhr zu Düsen Leitung (en) Diesel GPAC10449. Warranty on electronic devices is void if identifying mark is removed or has sign of tampering. R9145Z010B, 9Z507A307, A6650700295. Ssang Yong Rexton 2006 Kraftstoff-Stamm-Leitung R9145Z010B Diesel 121kW GPAC9454. 2006m., manual, 121kw, 2700cc, lhd. Ssang Yong Rexton, suv. Part Numbers The part is used. SsangYong Kyron Kuro slegio daviklis. SsangYong Kyron Sensor Kraftstoffdruck Druckregelventil. SsangYong Kyron Датчик давления топлива. Model: Kyron. Type of fuel: Diesel. Id164002: 1611533628 nenustatyta SsangYong Rodius Ignition Knock (Detonation) Sensor 2007. id164002: 1611533628 nenustatyta SsangYong Rodius Detonacinis daviklis 2007. id164002: 1611533628 nenustatyta SsangYong Rodius Klopfsensor 2007. 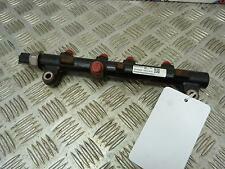 SsangYong Rexton RX270SX5 2.7 AUTO 01-06' FUEL INJECTION RAIL A6650700295 / R9145Z010B, AS PICTURED. MAKE AND MODEL: SsangYong RX270 SX5 2.7 AUTO ESTATE. FUEL:DIESEL. ALTERNATIVELY YOU CAN ALSO CHECK WITH YOUR LOCAL MAIN DEALER. Ssangyong Tivoli 2WD BJ15 1,6 94KWEinspritzdüse Einspritzventil Zyl.2 nur 14tkm! Ssangyong Tivoli 2WD BJ15 1,6 94KWEinspritzdüse Einspritzventil Zyl.1 nur 14tkm! Ssangyong Tivoli 2WD BJ15 1,6 94KWEinspritzdüse Einspritzventil Zyl.3 nur 14tkm! Einspritzdüse Einspritzventil Zyl.1 nur 14tkm! für Ssangyong Tivoli 2WD BJ15 1,6 94KW. Ssangyong Tivoli 2WD BJ15 1,6 94KWEinspritzdüse Einspritzventil Zyl.3 nur 14tkm! Ssangyong Tivoli 2WD BJ15 1,6 94KWEinspritzdüse Einspritzventil Zyl.2 nur 14tkm! Einspritzdüse Einspritzventil Zyl.2 nur 14tkm! für Ssangyong Tivoli 2WD BJ15 1,6 94KW. Ssangyong Tivoli 2WD BJ15 1,6 94KWEinspritzdüse Einspritzventil Zyl.3 nur 14tkm! Ssangyong Tivoli 2WD BJ15 1,6 94KWEinspritzdüse Einspritzventil Zyl.1 nur 14tkm! Id164004: 1611533628 nenusttayta SsangYong Rodius Ignition Knock (Detonation) Sensor 2007. id164004: 1611533628 nenusttayta SsangYong Rodius Detonacinis daviklis 2007. id164004: 1611533628 nenusttayta SsangYong Rodius Klopfsensor 2007.